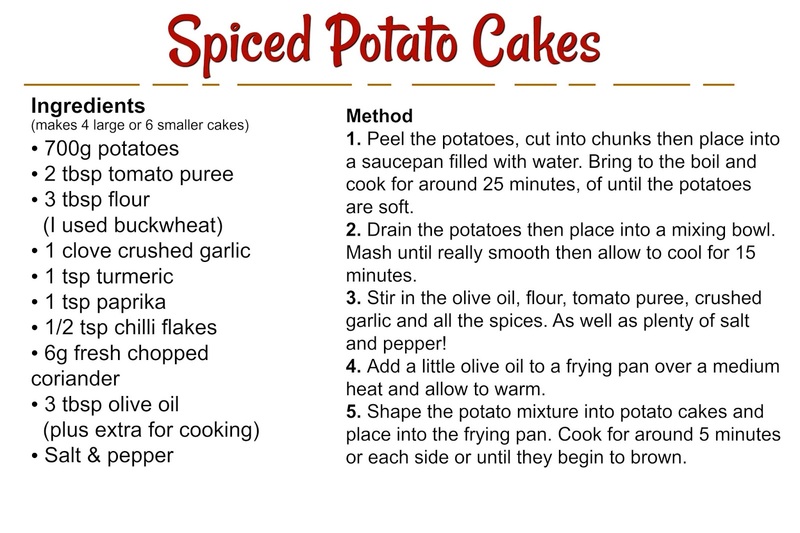 These spiced potato cakes make the most delicious and filling dinner and they're super easy and inexpensive to make! They require very few ingredients yet taste so yummy and full of flavour. I love to serve them with lots of green veggies and tomato salsa! 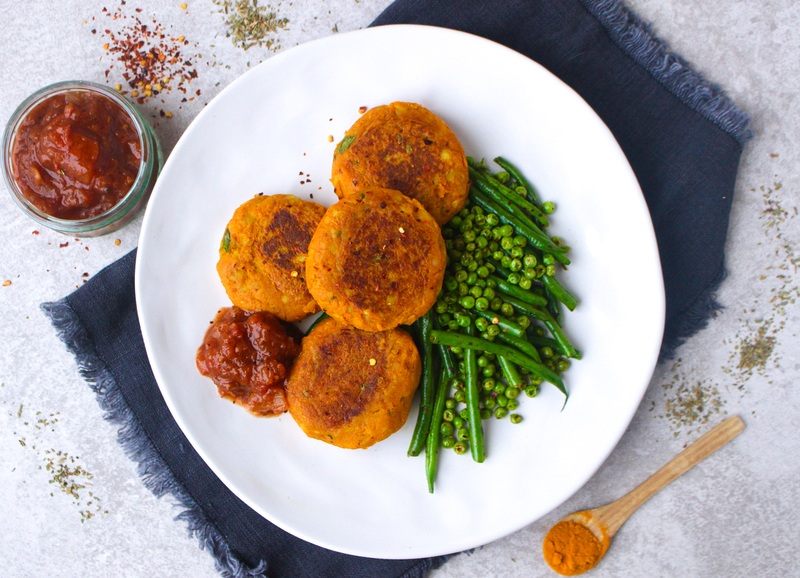 These potato cakes not only make a wonderful meal, they're also fab for food-prep. Why not keep any leftovers in the fridge and eat the next day for your lunch? They'd be incredible with a dollop of hummus, a big leafy salad and some sweetcorn. Not only are they yummy but they're full of 'good for you' ingredients too, such as potatoes - which may not get as much hype as sweet potatoes but the humble potato is actually a good source of vitamin B6, potassium, vitamin C and all important fibre! There's also heart-healthy olive oil in there, garlic to fight any lingering colds and plenty of anti-oxident filled spices.